earn $50,000 or more annually in capital gains to boot! The suits at Merrill Lynch say you need $738,400 to retire well. Let me explain why they’re dead wrong. You’ll actually need a lot less than that. I’m going to show you a simple way to bankroll your golden years on 32% less. That’s right: I’m talking about a fully paid for retirement for around $500,000. Got more? Great. I’ll show you how you can retire filthy rich on your current stake. Plus my “8% Monthly Payer Portfolio” will also let you live on dividends alone—without selling a single stock to generate extra cash. And you’ll get paid the same big dividends every month of the year – so that your income and expenses will once again be lined up! This approach is a must if you want to safeguard your retirement from the next market calamity. Ironically, it actually positions you to benefit from 10%+ price upside in addition to your monthly dividends. We’ll talk price upside shortly. First, let’s set up a smooth income stream that rolls in every month, not every quarter like the dividends you get from most blue-chip stocks. You probably know that it’s a pain to deal with payouts that roll in quarterly when our bills roll in monthly. But convenience is far from the only benefit you get with monthly dividends. They also give you your cash faster—so you can reinvest it faster if you don’t need income from your portfolio right away. When it comes to dividend investing, many “first-level” investors take themselves out of the game straight off the hop. That’s because they head straight to the list of Dividend Aristocrats—the S&P 500 companies that have hiked their payouts for 25 years or more. That kind of dividend growth is impressive. But here’s the problem: these folks are forgetting that companies don’t need a high dividend yield to join this club—and without a high, safe payout you can forget about generating a livable income stream on any reasonably sized nest egg. Worse, you could be forced to sell stocks in retirement—maybe even into a 2008/09–style nosedive—just to make ends meet. That’s a nightmare for any retiree, and leaning too hard on the so-called Aristocrats can easily make it reality: the ProShares S&P 500 Dividend Aristocrats ETF (NOBL), which holds all 57 Aristocrats, yields a pathetic 1.5% as I write, less than the S&P 500 average! You can certainly build your own monthly income portfolio, and the advantage of doing so is obvious: you can target companies that pay much more than your average Aristocrat’s paltry sub-2% payout. Trouble is, only a handful of regular stocks pay in any frequency other than quarterly, so we’ll have to patch together different payout schedules to make it happen. AT&T (T) and AbbVie (ABBV)—two of the highest-yielding Aristocrats, with payouts of 6.6% and 5.4%, respectively, as I write this—pay in February, May, August and November. Target (TGT) and Chevron (CVX), with payments in March, June, September and December. Sysco (SYY) and Wal-Mart Stores (WMT), with payments in January, April, July and October. You can see the consistency starting to show up here, with payouts coming your way every single month, but they still vary widely—sometimes by more than $1,500 a month! Of course, the bigger problem is that we’re pulling in just a 4.1% average yield, which will only get us to $20,583 in income on our $500,000 nest egg. That’s less than your local Starbucks barista makes! Here’s where you need to step away from regular stocks and fish in lesser-known corners of the market—places where high yields and monthly payouts abound. One of my favorites? Real estate investment trusts (REITs) a special kind of company that owns rental properties—everything from shopping malls to senior-care facilities. Here’s the upshot: the IRS lets REITs skip out on income taxes if they pay out most of their earnings as dividends. That means fatter dividend checks for you and me. Better yet, monthly payouts are more common in the REIT world. Industrial landlord STAG Industrial REIT (STAG), a 5.2% yielder. Long-term care facility owner LTC Properties (LTC), with a 5.1% payout. Apple Hospitality REIT (APLE) a hotel operator that pays a fat 7.3%. EPR Properties (EPR), owner of theaters and entertainment complexes across the US—and a 6.2% payout. That’s as smooth an income stream as you’ll ever see! And it’s certainly better than our cobbled-together Aristocrat portfolio, getting us up to around $30,000 a year in income (or a 5.95% average yield) on our $500,000 cash pile. There’s one problem, though: that $30,000 is still below the $40,000 or so most folks would need to retire on dividends alone. This is where my “8% Monthly Payer Portfolio” comes in. With just $500,000 invested, it’ll hand you a rock-solid $40,000-a-year income stream. That’s an 8% dividend yield … and it’s easily enough for most folks to retire on. The best part is you won’t have to go back to “lumpy” quarterly payouts to do it! 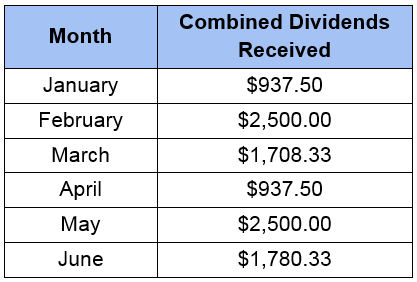 Of the 20 income studs in this unique portfolio, 10 pay dividends monthly, so you can look forward to the steady drip of $3,333 in income, month in and month out—give or take a couple hundred bucks! 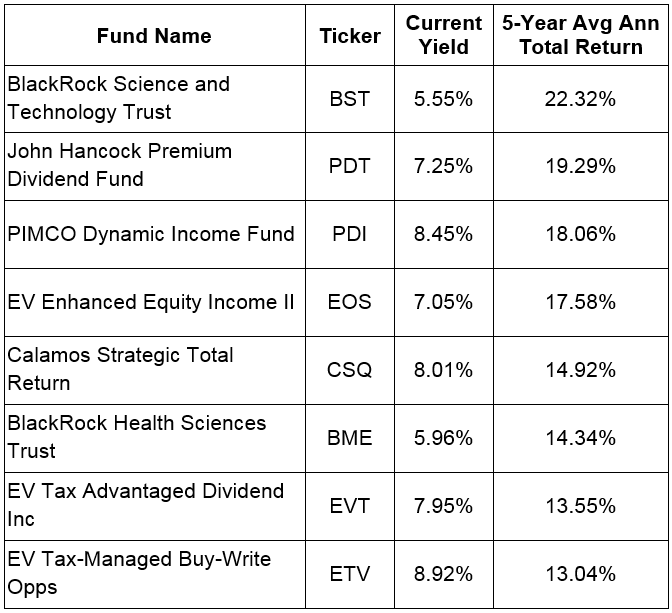 Buy my 10 favorite monthly dividend payers. The result? $3,125 in monthly income every month (from an average 7.5% annual yield, paid every 30 days). With upside on your initial $500,000 to boot! And this strategy isn’t capped at $500,000. If you’ve saved a million (or even two), you can just buy more of these elite monthly payers and boost your passive income to $6,625 or even $12,500 per month. Fortunately for you and me, the financial markets aren’t 100% efficient. And some corners are even less mature and less combed through than others. These corners provide us contrarians with stable income opportunities that are both safe and lucrative. There are anomalies in high yield. 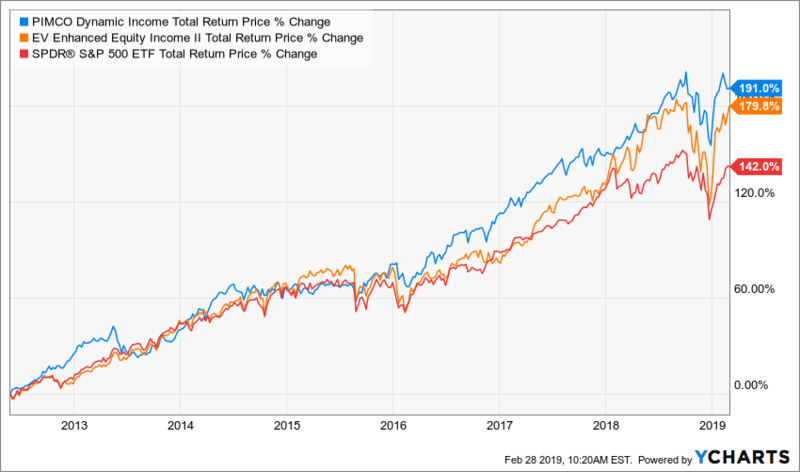 In an efficient market, you wouldn’t expect funds that pay big dividends today to also outperform the S&P 500 on a total return basis. We’re taught that it’s an either/or relationship between yield and upside – we can either collect dividends today, or enjoy upside tomorrow, but not both. But that’s simply not true in real-life. Otherwise, why would these monthly payers beat the market and pay yields averaging 7.5%? This is the key to a true “8% Monthly Payer Portfolio” – banking enough yields to live on, while protecting (or better yet, increasing) your base of capital. It’s literally the difference between dying broke and never running out of money no matter how long you live – a $1.3 million difference to be specific! Millionaires who put their cash in the S&P 500 ten years ago have seen their million grow to $1,531,800. This means gains of $531,800, or roughly $50,000 compounded annually. These investors could have withdrawn about $50,000 every year and kept their $1 million nest egg intact. Let’s contrast this with the prescient CEF investor who instead bought one of our eight monthly payer unicorns that “shouldn’t exist” in today’s efficient financial markets. These investors are sitting on gains alone of about $1.8 million. Again, these are pure profits! Don’t “just” buy stocks and hope they go up in price enough to cover your living expenses. Instead, guarantee it with a savvy purchase. It could make a $1.3 million difference in just a decade. Even if you’re not trying to get really rich, I’m sure you want your money to last forever. And that’s exactly what our savvy grandmother is doing as she out-earns many millionaires who have their money parked in low yield instruments. In a moment, I’m going to show you how to earn a passive $40,000 on a half-million… $80,000 on a million… and $100,000+ annually on anything higher. And get paid every month. Plus, you won’t even have to tap your initial capital or “draw down” any of your valuable principal. I’ll even give you the specifics on stock names and tickers to buy. But first, a bit about myself. Today I serve as Chief Investment Strategist for Contrarian Income Report – a publication that uncovers secure, high yielding investments for thousands of investors. Since inception my subscribers have enjoyed dividends 4 times the S&P 500 average, plus big annualized gains! But if you know how to navigate the space, you can earn the types of returns and collect the big monthly dividends that my subscribers do – which means you may never have to tap into your retirement capital to pay your bills. Superstars: 8% Yields with 10% Upside. The brainchild of one of the top fund managers on the planet that’s giving out generous 9.1% yields. And because these big dividends compound quicker, they’ll turbocharge your net worth. You can collect 8% yields and grow your nest egg by 10% every year. It makes securing your retirement a heck of a lot easier! Then, once you’ve lined your portfolio with these superstars, I want to help you clean out any toxic assets that can derail your dreams. Yield chasers hold onto what they think is a darling dividend payer, only to have it turn around and bite them hard. The company started to hike their dividends to 6%…8%…and even double digits and investors piled in, tempted by the mouthwatering payout promise. Let me tell you…it wasn’t pretty for anyone who stuck with them. Then, after these toxic assets are removed from your portfolio, it’s time to start filling it with even more great income plays that can win in any economy. 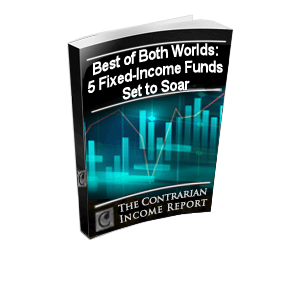 Inside your third exclusive report you’ll discover my five favorite funds for investing in fixed income, including their management profiles and investing strategies. These funds pay an average of 7.5% today. And the high yield is great, but their best quality may be their lack of correlation with the broader stock market (which they outperform anyway). Plus the bonds these funds own are preferred in every sense of the world – meaning they can pay out their fat dividends no matter what the broader market does. 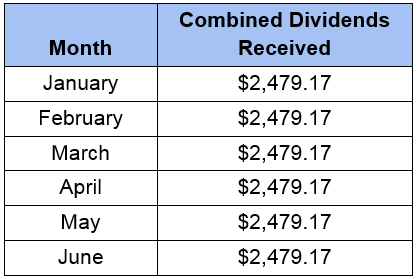 This one is for anyone looking for another high monthly dividend payer while hedging against a future market pullback. The fund I’ll reveal to you focuses on the “sweet spot” of preferred securities to uncover the best values for shareholders. It pays 7.4% today and all the details in are yours in this 4th special report. Many super-investors agree that you’ll never beat the market by following the herd. They tout the virtues of contrary thinking, but I’ve yet to hear any one of them specifically outline how they go about finding under-appreciated stocks with low valuations. By following these steps, you’ll be able to find the types of stocks that Warren Buffett, George Soros, Howard Marks and many other greats only wish they could invest in. Now, the total value of all these reports I just went over are easily worth over $500. I mean, just think about how these recommendations could secure you checks totalling $3,333 (or more!) every month for the rest of your life. Now that I put it that way, they’re probably worth 10X that amount. 8% Monthly Payer Portfolio for FREE. Think of these reports as your jump-start resource. They’ll point you in the right direction. But I want to be your guide so that you can collect steady monthly dividends not just this year…but every year from here on out. That’s why I’m also throwing in a 100% risk-free trial to my research service, Contrarian Income Report. As I mentioned earlier, I’ve spent years scouring all corners of the market uncovering high-yielding investments that are safe enough to retire on. Each month, I’ll deliver a streamlined intelligence report straight to your inbox. I’ll give you my candid take on what the mainstream is talking about. And I’ll also tell you about the newest high-yield opportunities I come across. As I write, 20 of my recommendations are throwing off yields over 5%. And 6 clock in above 8%. That’s not even the highest. We have others that deliver Contrarian Income Report members over 9% in dividend payments. That means you would only need a $500,000 nest egg to pull in $45,000 a year! Beats the heck out of the Dividend Aristocrats. Beats the heck out of Treasuries and CDs. And it sure beats the heck out of the S&P 500 and its pathetic 1.9% yield. Imagine putting these high-yielders to work for you. All of a sudden, the monthly checks start rolling in and you can finally sit back and enjoy life. Instead of stressing about your portfolio 24/7. But don’t just take my word for it. I have letters piling up on my desk from happy subscribers. 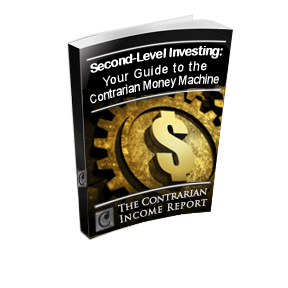 So let’s talk about what you can expect with Contrarian Income Report. You’ll get my latest high-yield opportunities delivered straight to your inbox. I’ll also update you on past investments I’ve recommended. That way you’re never caught holding anything that might cause you to lose your shirt. Financial advisors live and die by the 4% rule. Here’s a quick recap: 4% is the recommended withdrawal rate that you need to give yourself a steady income in retirement. Well, my contrarian approach lets you have your cake and eat it, too! The No Withdrawal Portfolio pays you high enough dividends that you’ll never have to dip into your nest egg. Which is why you’ll want to know about it ASAP! Any time there’s a change in our position, or general market malarkey happening, you’ll get a flash alert so you won’t be blindsided by bad news. You’ll get access to a password-protected website where you can access current and past issues, the No Withdrawal Portfolio, special bonus reports. No matter when you like to monitor your investments, everything is there for you around the clock. About every three months, I can attend a live, members-only webinar with Brett on current portfolio recommendations and his thoughts on pressing member questions. If you ever have questions about your subscription, you can simply call or email our customer service team in New York and they’ll be happy to take care of you. Normally, it costs $99 a year to join Contrarian Income Report. In return you’re getting recommendations that can deliver you thousands of dollars each month in a handbasket. Still, I know I need to earn your trust and show you just how valuable Contrarian Income Report can be. 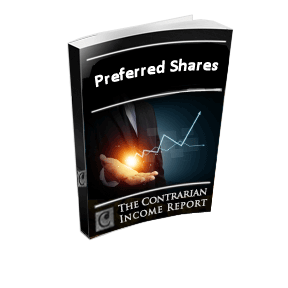 Contrarian Income Report for just $39. That’s 60% off the published price! I’m also going to give you a 60-day, 100% money-back guarantee. That means you have nearly full 2 months to invest in my recommendations, track their progress, and try out all the tools and resources at your fingertips. If at anytime, you don’t feel like my research service is right for you, just contact my team and they’ll refund every cent you paid. No hard feelings. No questions asked. And all the bonus reports will be yours to keep. Just my way of saying thanks for trying my service and giving me the chance to serve you. 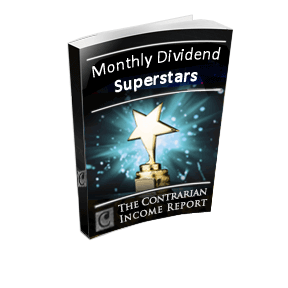 Report #1: Monthly Dividend Superstars: 8% Yields with 10% Upside. 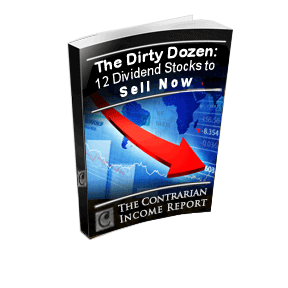 Report #2: The Dirty Dozen: 12 Dividend Stocks to Sell Now. 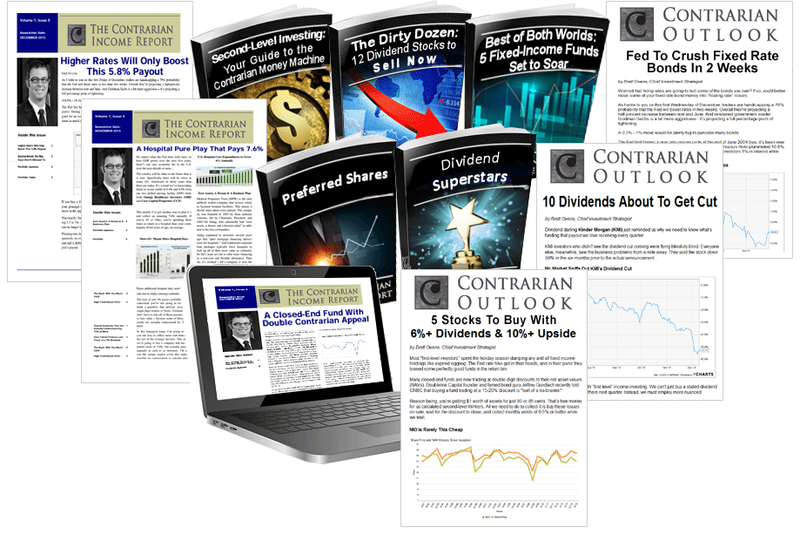 So, you get a 60% membership discount, my five latest investment reports, weekly email updates and alerts, and a 100% money back guarantee. Click the button below to secure all this for just $39. In the coming months, many investors will continue to struggle with their paltry 2% and 3% payers, holding their breath for the next signal from Washington on the state of the economy, fearful of what might happen in China & Europe. But my Contrarian Income Report readers and I will rest easy thanks to our super-safe “8% Monthly Payer Portfolio” and enjoy 10-20% gains over 12 months. P.S. Remember, your risk-free membership comes with the names and full details on my top 3 closed-end funds paying up to 9.1%, average dividends of 7.5% from my top bond funds, and a preferred play that will hand you 7.4%. Even a small position in any one of these picks will easily cover a full year’s membership… most likely before your 60-day trial even ends!